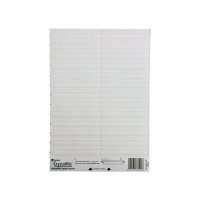 This pack of Rexel Crystalfile Classic linked suspension filing tab inserts are white and come in a handy pack of 50. Designed for use with Crystalfile Classic linked filing systems, these extra long printable inserts, templates for which are available from www.crystalfile.co.uk are ideal for personalising your filing system. 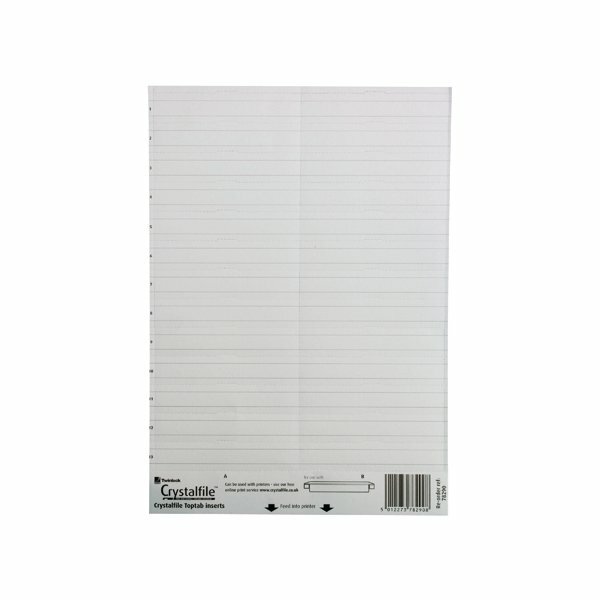 Easily changeable and simple to use, these inserts provide labelling on the top and/or front of the file.